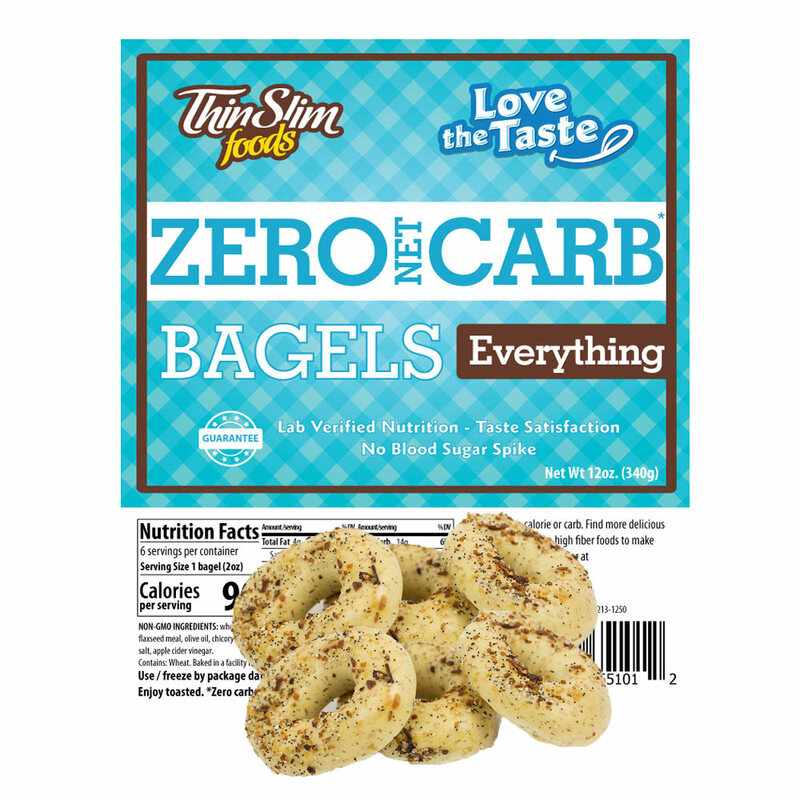 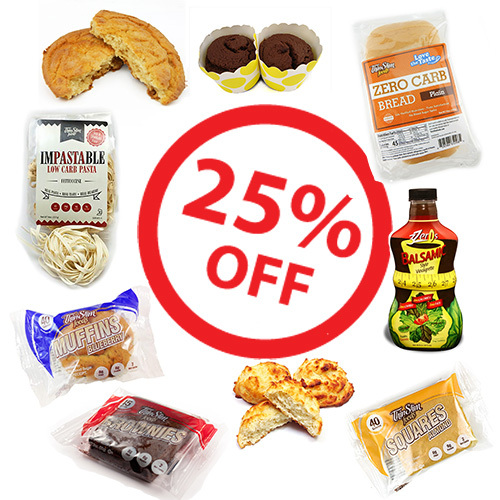 ThinSlim Foods Low Carb Bagels come in either the Love-The-Taste version or the Love-Your-Waist version. 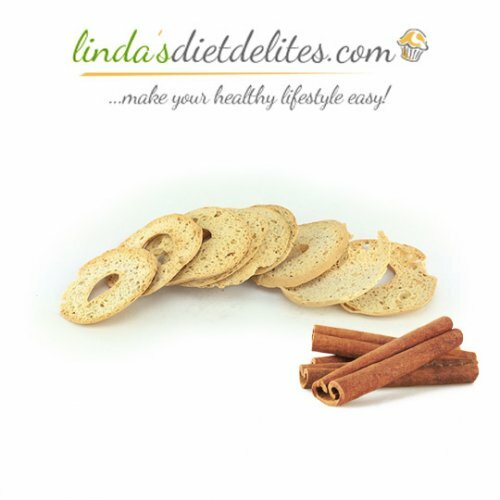 The Love-The-Taste version is a little higher in calories, but has a much tastier consistency. 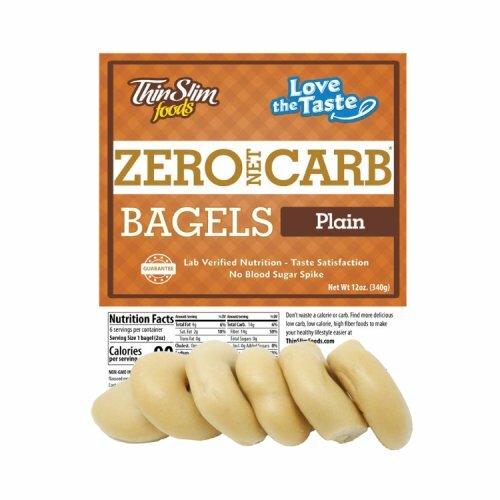 Unlike traditional high calorie (190-300) and high carb (35-50) bagels made from fast digesting white flour and other unhealthy ingredients, ThinSlim Foods Low Carb Bagels are super low in calories, even lower in carbohydrates, and contain very slowly digesting ingredients that help fuel fat loss by keeping blood sugar levels in check. 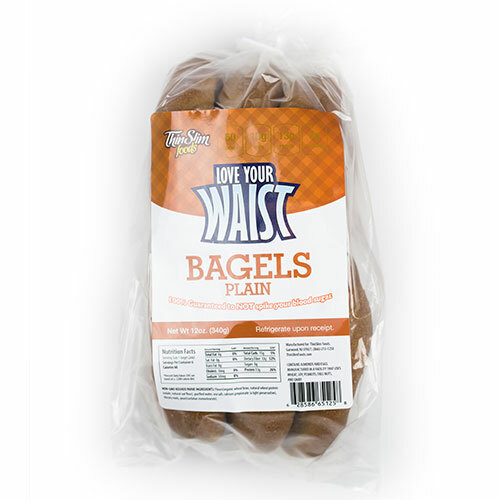 Although supermarkets offer some reduced calorie bagels, they are always miniature in size. 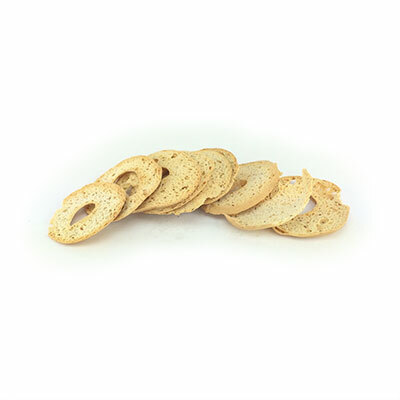 Ours on the other hand are a full 2oz.